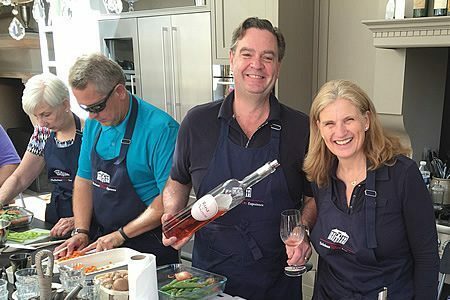 Learn about Bordeaux wines, lifestyle and culinary experiences, because it’s fun, easy and it’s free! "You have mastered the art of making strangers feel so very welcome"
Margaret and Ronald Rens are extremely professional, social, and most polite. 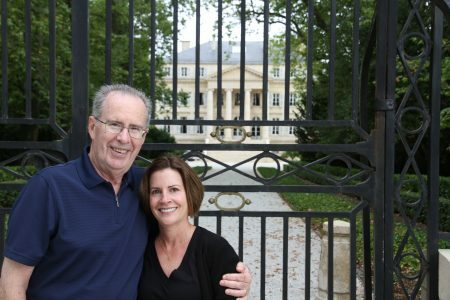 "Rarely if ever have we been welcomed so warmly and so genuinely"
While the wine and food have been extraordinary, your grace and humor will be one of our most enduring memories of Bordeaux. "Little did we know that we would find an experience we would never forget"
Your genuineness, open esprit and the welcome into your home turned a vacation into a visit with friends. "Giving us your lectures in a comic way was delightful"
As I have said you should ad a comedy show to the schedule. You two are the right balance to make all of us feel very special. "5 days of packed entertainment, information, fun, new friends and of course wine"
"It has been a truly marvelous experience"
Everything was so perfect and we will remember this trip forever! "This tour was somehow the epitome of down to earth"
For those of you who think that this is a tour for wine snobs, or for snobs or pretentious people in general, think again. Some of our guests already know a lot about Bordeaux and its wines. For others a Bordeaux Wine Tour serves as a top-down introduction to the fascinating Bordeaux Wine World. Whatever your background, we can guarantee that you will have a great time. We sometimes blush when we read what previous guests said about us in their Guest Comments. On the other hand this is what we love doing: surpassing expectations. Even for us it’s incredible to see the number of people each year who come back to us for a second, a third or even a fourth tour. We combine a down-to-earth approach with a great sense of humor. And we prefer nice people on our tours. Pretentious or obnoxious people: please stay away! We’re serious about this because it is a personal, intimate experience (i.e. with us), filled with a lot of fun, so there is no time or energy for jerks… So please only join us if you are a nice person who likes wine and want to learn more about the intriguing Bordeaux wine world. And want to taste the best wines in the world while having a fun vacation. It is not every day you are welcomed into somebody’s home, let alone a castle. 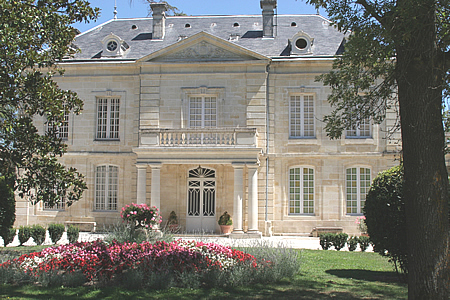 Just six times per year we open up Chateau Coulon Laurensac for an intimate group of wine lovers. With them we tour the best wineries in Bordeaux. Through our contacts we even have arranged meals in Classified Growths, a highlight on each and every tour. And there will be Grand Cru wines with all meals (except breakfast…)! This may sound intimidating to some people but, don’t worry, we’re as down-to-earth as they come. Our tours may need a warning label soon because they can get addictive. The number of people coming back to us for a second or even a third helping of the Bordeaux Wine Experience is going up each year. 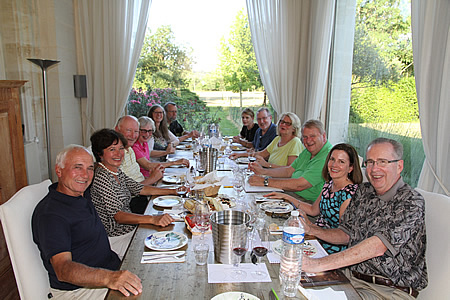 We are thrilled that a number of guest even come back to enjoy even a fourth Bordeaux Wine Tour with us! To be quite honest, comments like these make us really proud: we must be doing something right here… We are so happy with people giving such enthusiastic and positive comments especially after several Bordeaux Wine Tours with us.